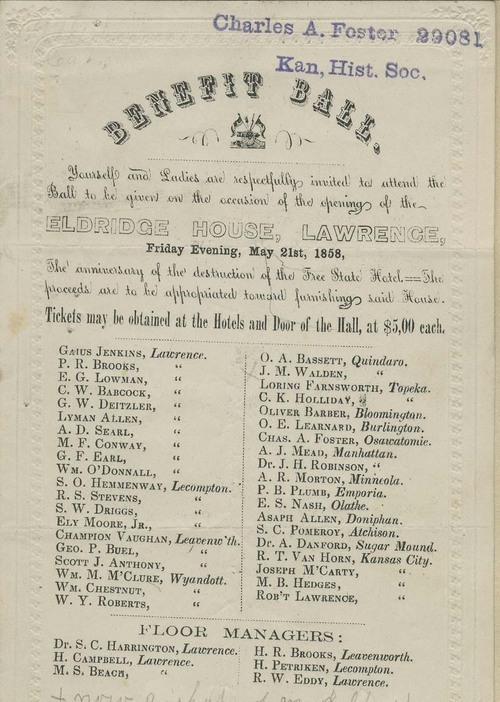 This invitation was to a ball to be held on the anniversary of the destruction of the Free State Hotel. It was to celebrate the opening of the Eldridge House, Lawrence, Kansas Territory. Tickets cost $5.00 and the proceeds were to be used for furnshing the new hotel. Thirty nine men from 17 different communities were listed on the invitation.